nearest café and continue the story. copies, five hundred of which were distributed free to libraries. July 21, 2007, and sold more than 250,000 copies in the first 24 hours. 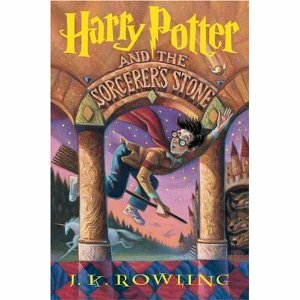 More than eight million copies have been sold all told, and J.K.
thousands of people were doing the same thing at the same time. grownups to admit this, but all I can say is I’m sorry for them. have a secret? If so, what is it? and two boys; they start as children and grow up as seven years pass. sister of the other boy. That is good but not unique, either. book he has become all-powerful, and there is no hope left for the world. death if he does not yield to the evil lord. Even so, he does not yield. His courage, in the last analysis, is greater than that of his foe. the end of the series; we can’t see any way out. But Harry Potter can. My goodness! Is this review written by “the” Charles van Doren, he of the quiz show scandals of the 1950s? I see by the wiki that he’s alive and well and teaching English, so it must be. That lends a certain – what? Poignancy? Gravitas? Realism? to the review. Van Doren knows a thing or two about the battle between good and evil himself. This really is a great review – simple enough to be interesting to someone like me, who’s passed by Harry Potter for all kinds of reasons. Maybe it’s time to make Harry my winter project! This excerpt is actually from his book, The Joy of Reading. In the book he talks about his favorite books (200+ in all), most of which are already considered classics – from Homer’s Iliad to JK Rowling’s Harry Potter series. Oh, thank you for telling me about “The Joy of Reading”. I’ll look for it!